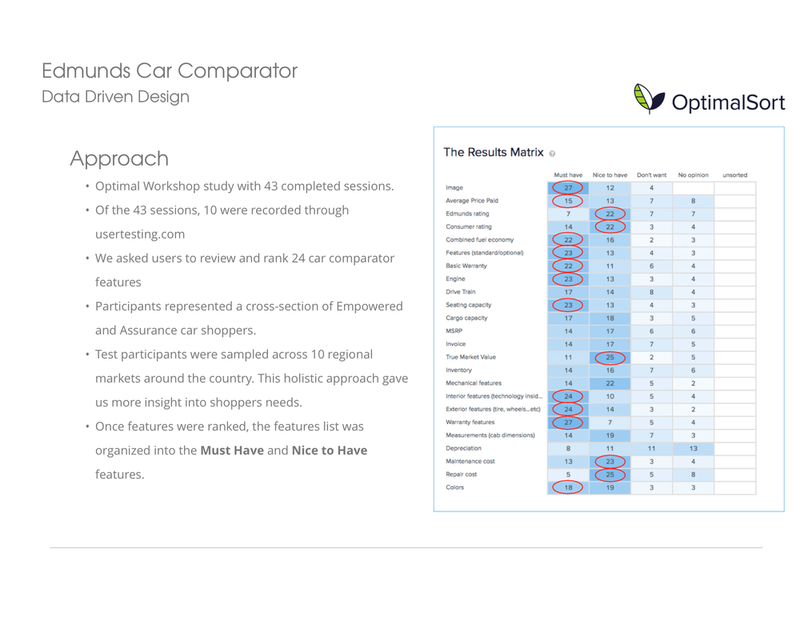 The Edmunds compare tool allows users to see a side-by-side comparison of vehicles they're interested in. To convert the legacy version of the compare tool into an engaging tool that's simplistic and allows for sponsorship opportunities with OEM partners. Display a feature list based on users wants and needs.